ARK Home Improvements is a custom design & build company serving the South Hills of Pittsburgh. We specialize in custom addition renovations & all phases of interior and exterior remodeling. Our design-build method allows us to blend the creative vision of a design with our ability to manage a construction project in an efficient and cost-effective manner. When you partner with us, you’ll enjoy the benefits of our 30 years of experience and impeccable track record of success. We’re not just building spaces, we’re building relationships. 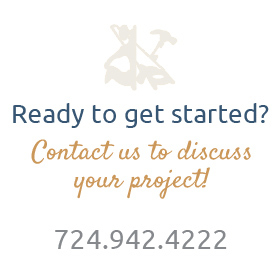 Explore our services and contact us to discuss your next project! Functional, well-designed spaces help make a house a home! We offer a range of services to meet your exact needs. Whether you want an outdoor entertaining area or home theatre for your family, we can create a custom space that shows your unique style. We have access to the latest products for your home remodeling project. From the most efficient thermostat to the best rated heated floor system.